Master-blaster batsman Sachin Ramesh Tendulkar said that the senior players in the Indian team must be respected for the "major contributions" they have made over the years. Lashing out at the critics, Tendulkar said that it was up to the seniors to decide the time and place of their retirement. He said that the seniors in the team felt that there was not enough respect shown to them. The five seniors of the Indian cricket team- Sachin Tendulkar, Rahul Dravid, Sourav Ganguly, VVS Laxman and Anil Kumble – were criticized for their poor performances in the Test Series against Sri Lanka. As a result of this, the selectors dropped Ganguly from the Irani Trophy, which led the latter to announce his retirement from the game. Any reason for the current form that Dravid is in? Why the lack of runs in all the tests against Australia. 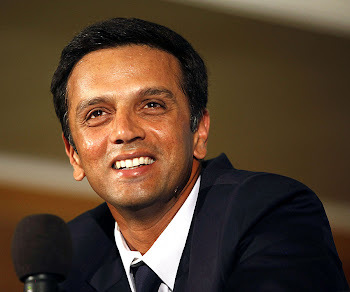 Am an ardent fan of u dravid, and am troubled by the lack of runs and the comments such sort of form will receive from the public as well as cricket selectors and players. Would not want you to be the next man to retire. Treasure your innings too much to let go so easily. Please work out of this bad form at the soonest and would be happy to see you scoring some 50s and 100s soon enough.